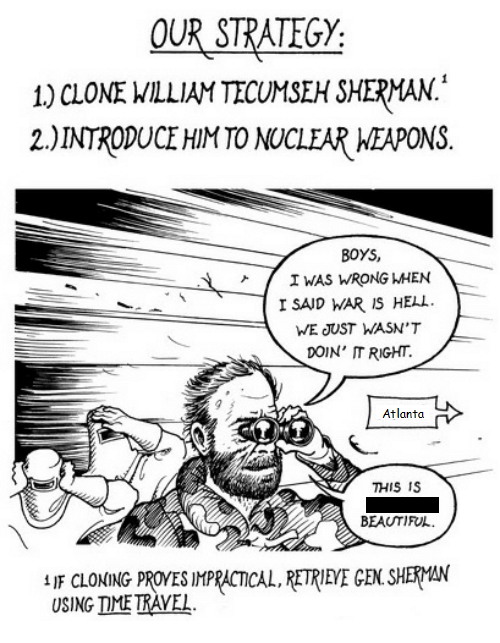 The ghost of General Sherman smiles upon you. 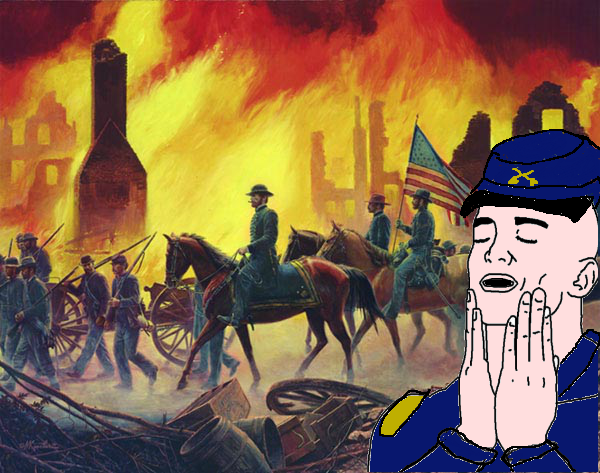 And if you manage to burn one to death, he shall personally come down to your port and bless all ships of the Union. I get an inordinate amount of pleasure gunning one down with a DD. Especially if I wait until radar runs out then smoke up and peck him to death! I burned one down last night with an Asashio... he was so mad in chat. I guess it can be rough to use those floaty arcs at range against a DD. Just kited and he chased. Also Khaba should be on this list of things that need to burn and melt in a volcano.